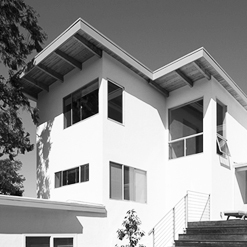 A new second floor addition was built above this mid-century San Carlos house. All interor spaces have been re-worked and new windows, interior stair and deck have been designed. An emphasis on openness and connection to the lush backyard guided the design decisions throughout the project.